REPORT: New Owner Of Out Magazine And Advocate Has History Of Donating To Anti-LGBT Republicans - Joe.My.God. 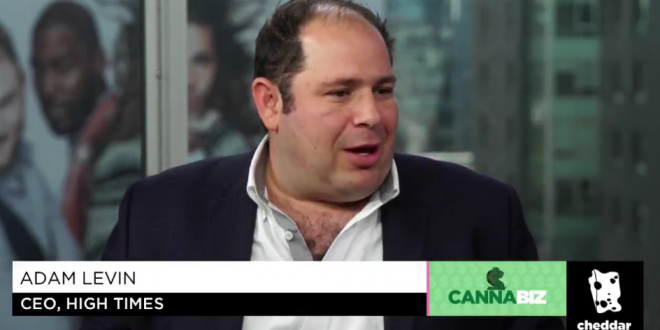 Behind Pride Media are the stepbrothers Adam Levin and Maxx Abramowitz, the founders and operators of Oreva Capital, which last September acquired Out and The Advocate, along with related brands and intellectual property. They are also, respectively, the chief executive officer and lead investor of High Times magazine parent High Times Holdings. However, a new owner that not only is perceived as relatively disinterested in the community it serves, but has given money to politicians who worked against that community, didn’t sit well with a lot of now former staffers, who had a sense of mission in their work, sources said. Levin has donated to a number of Republicans including Devin Nunes, Dean Heller and Josh Mandel (all of whom have publicly taken anti-LGTBQ stances, like supporting religion-based discrimination), and Dana Rohrabacher (who recently said gay people can be denied the right to buy a home and has consistently opposed legal advancements for the LGTBQ community).